We are delighted to team up with some of the high streets leading designers, as well as some fantastic local retailers, catering and drinks experts at The Style Edit to bring you two extraordinary evenings filled with fashion, fun and food! The Style Edit will take place at the Granary Barns on the Thursday 17th and Friday 18th May from 6pm until late. 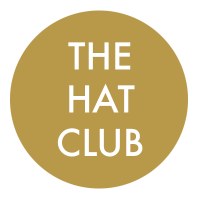 Look out for our hats, which will be on the catwalk alongside Martha V’s stunning outfits.